Last weekend I attended the Wool and flax days at Skansen open-air museum in Stockholm. Dressed in all wool and linen, I brought my own retted flax from the 2017 harvest. My plan was to process my own flax with their tools and guidance. My friend Anna was kind enough to shoot the whole thing. This is part four in a blog series about flax. The previous posts are about flax processing in general, the 2018 harvest in my experimental flax patch and spinning flax on a spindle. Last year I wrote about the first harvests in my experimental flax patch and my first attempt at spinning flax on a wheel. Skansen is the oldest open-air museum in the world. Old houses and buildings from all over Sweden have been brought to Skansen for display. Skansen employees are dressed in period costumes and tell the visitors all about the buildings, tools and ways of living. I spent an hour of the beautiful August afternoon at Älvrosgården, a farm from the beginning of the 19th century. For this event flax processing tools had been brought out on the yard to show how a strick of dry and dull flax stems can be turned into gold. Tools for processing flax were often a bridal gift. A married woman needed to be able to process the family’s flax to make clothing and domestic textiles. You can often see names and wedding dates on old distaffs, hackles and scutching knives. I showed the staff my modest flax harvest and asked if I could process it with their tools. They were delighted and very kind and showed me the ropes. The flax fiber is placed on the outside of a cellulose core. To separate the flax from the core you need to break the core. This is done in the flax break. In this stage you see how the cellulose cores crumble to bits while the long flax fibers stay intact. The Swedish word for this stage is bråka. Quite similar to the English word. This is a tool I have never seen or heard of before. It is called a “draga”, which is an old word for something that pulls. Which makes sense – you pull the broken flax through the “puller” to remove the coarsest bits of cellulose. Quite effective! Has any of you seen this type of tool before? The next step is the scutching, Skäktning in Swedish. You use a wooden tool similar to a knife to remove the bits and pieces of broken cellulose from the flax fibers. The more bits you are able to remove, the better prepared the flax will be for the final step. Hackling the flax is usually done in several steps. In this case, two steps. You pull the scutched flax through vicious tines to remove short and brittle fibers and the last pieces of cellulose. In this step you also arrange the fibers parallel. After having hackled a while I learned how to lift the strick of flax over the hackles instead of swinging it. When swinging, the flax turns in the air and doesn’t lie straight over the tines. On the table you can see samples of flax that has been retted with different methods – dew retting, water retting and snow retting. The first step of the hackling process is through a rough hackle and the second step through a finer hackle. This stage is performed at your own risk. I managed to go through it with only one pierced finger. These are the only flax processing tools I actually have at home. The coarser bits that end up in the hackles, the tow, is saved and spun into a coarser yarn or used as insulation in the buildings. The pieces of cellulose core that is scattered on the ground are treats for the chickens. So while this is a time and labour demanding process, nothing goes to waste. The flax turned into such a beautiful bundle of gold. I am still amazed at what I have managed to make, from just a handful of flax seeds. I got new seeds for this season from Ann-Marie, a retired flax farmer and spinner. This flax is actually spinable! And I just found out that Ann-Marie is selling out the last of her seeds and she is sending me some for next season! My beautiful strick of flax from the 2017 harvest in my experimental flax patch. 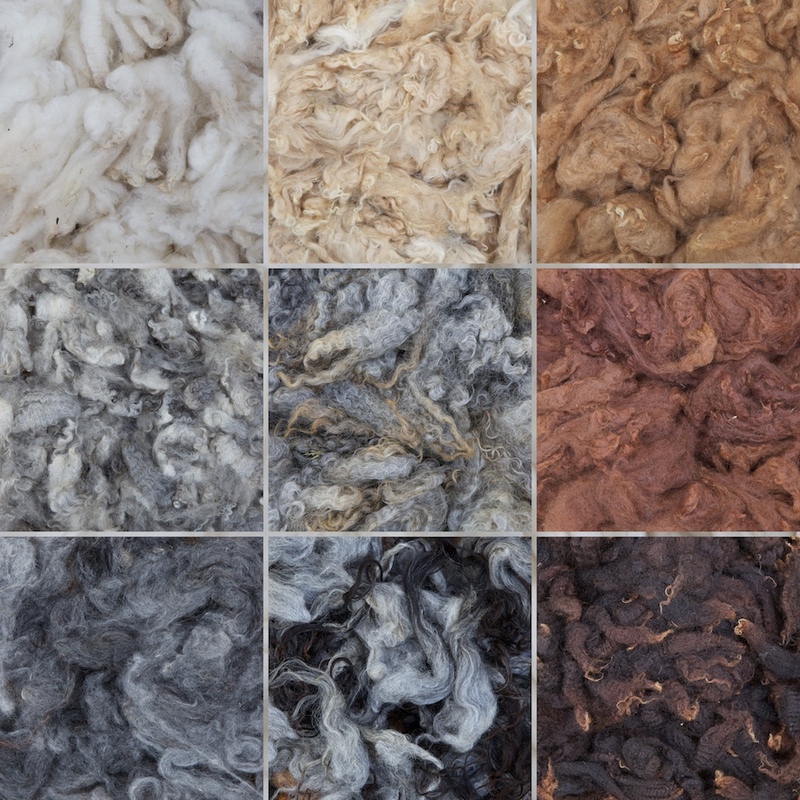 The fibers are long, lustrous and plentiful. And I must have done something right with the retting too. I am happy as a clam about my beautiful flax. Results from my experimental flax so far. From the left: 2014, 2015, 2016 and 2017. You can see the difference to the earlier years. The 2014 harvest was the thickness of a rat’s tail. 2015 was at least three rat’s tails! In 2016 I failed with the retting, you can still see lots of pieces of cellulose. Finally, the newly processed flax from the 2017 harvest is long, beautiful and silky. And just outside our house, the 2018 harvest is retting on the lawn. I passed my flax processing exam. The Skansen staff was so kind and helpful and welcomed me back to process my next harvest. A big thank you to the Skansen staff at Älvrosgården for their kindness and guidance, to Anna for shooting and to Ann-Marie for the seeds. I grow my own flax in a miniature experimental patch. Miniature means about 2 square meters and experimental means that I try to improve every year by experimenting and learning from my previous mistakes. I started in 2014, it was all coincidental. I was seed shopping for our allotment and found a pack of flax seeds for spinning flax. When I planted them I had no intention of processing the fiber, but come August I thought I might give it a try. I had no knowledge and no tools, but my plan was to keep it experimental and grow flax just because I could, and I was sure to learn a lot in the process. The first year’s result was meager, but I was still very proud of it. I had grown it and gone through all the steps required to produce fiber. With no tools, I had to be very inventive. After drying and retting, I separated the seeds by putting the bundles in a pillowcase and hammering on it with a mallet. I broke and scutched the stems with a rolling pin on the tiled kitchen floor. I think I used a comb to hackle the fibers. And I was left with a line the thickness of a rat’s tail. But it was my rat’s tail. The following year I had a small experience bank to build on. I planted tighter and more, which gave result. One problem was weeds that sprouted at the same time as the flax, and it was difficult to deweed without deflaxing as well. I had found two hackles which helped me a lot and the result was much improved, the thickness being of approximately 3 rat’s tails, and a lot longer and finer fibers than the first year. In 2016 I waited for the weeds to sprout before I started the flax planting. That way I could deweed before I put the flax seeds in the ground, which was a success. The flax grew nicely and the patch looked very promising. Until the next problem arrived. The problem spelled C-A-T. Frasse, the neighbour’s cat had found a new bed. In my flax bed. He lay there every day and didn’t care about my golden fiber at all. So a lot of the harvest was ruined by cat. Also, the fall was very dry. I dew retted the flax longer than I had before, but when I processed it, it was really hard to separate the fibers from the core. The consequences of which led to both more waste (=less usable fiber) and more core cellulose in the finished fiber. And I think it has less shine than the previous harvest. But this is why I do it – I learn every year and use my experience to improve the next year. And I did end up with 4 rat’s tails! This year’s flax has had its ups and downs. To start with, I put a compost grid 5 cm above the soil to prevent the cat from hi-jacking my flax patch. He came, he sulked and he left. I increased the patch with two pallet collars below our big oak. Also, I got some new seeds (Ilona) from a retired flax gardener. But the oak sucked out all the water from the soil and all that is left are some sad yellow stems, about 20 cm high. So we are left with the original patch. Which is full of weeds between the flax stems. However, I planted the new seeds on the original patch and this flax is a lot higher than it ever was before, so I’ll make sure to use the new seeds next year. I have spun my first flax! I bought a kilo of heckled flax from Växbo lin a year ago, but I have been a bit intimidated by it. I have read a lot about flax spinning but I haven’t had the courage to start spinning. Also, I didn’t have a distaff, so I asked around and finally got a comb distaff. It was hand-carved in the -80’s after an old original. But I had no holder for it and I started playing with ideas how and where to arrange it. We have a floor lamp in the living room and I thought it might be a good idea to tie the distaff onto the lamp shaft. I wanted to get some sort of container for water to be able to wet-spin the flax. My idea was to hang the container on my spinning wheel, so I needed something with a handle. Last week we went to a flea market and I found a pretty copper cauldron that would be a perfect candidate for the job. Today I decided it was the day to face my flax fears and start spinning. When I looked at the lamp to figure out how to attach the distaff to it, I saw my blocking wires behind the lamp, neatly stored in their one meter tube. And it was the perfect distaff stand! So I started spinning with the distaff tube tucked under my arm. It was a little awkward, trying to spin, hold on to the tube and wisp away flying flax fibers at the same time. I realized that I had to spin outdoors and organize myself. So, I moved my equipment out to the terrace and folded up the parasol against the sun and the showers in the ambivalent weather. And I found the perfect floor stand to the distaff tube in the lounge furniture! Finally, I was able to spin. I was happy as a clam, spinning away in my perfect little arrangement. The rain was pattering cozily against my parasol canopy and the bobbin slowly turned into a treasure in pale gold. And I’m really happy with my first flax yarn. And now there is only 974 g flax left of my 1 kg!